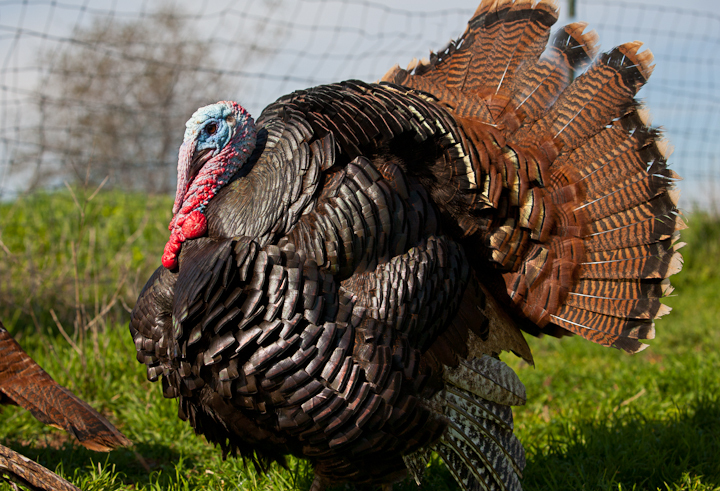 November 22 is quickly approaching – remember to order your pasture-raised, heritage Thanksgiving turkeys from NTC! If you want to feel good about the meat that you eat, this is it. These turkeys are part of our heritage breeding program raising Naragansett and Standard Bronze turkeys. These birds are very well cared for, free to roam the fields by day, and fed organic feed. When you purchase this breed, the demand is made for heritage birds – you are doing something very positive, very cool. The turkeys range from 7-12 pounds and cost $7.50 per pound for holiday deliciousness. They’re available for pick-up at the farm, farmers’ markets (Roseville Tuesday, Auburn Saturday), and Truckee delivery Wednesday, November 14. Place your $25.00 deposit online and we will be in contact with you about size and delivery preferences. Thanks for your support!